Offering you a complete choice of products which include almonard tubular fan, bajaj air fresh fan, crompton exhaust fan, havells wall fan and khaitan air fan. 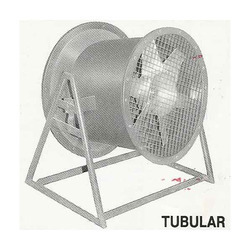 A flourishing enterprise in this domain, engaged in presenting a wide range of Almonard Tubular Fan. The offered fan delivers a stable solution while operating at temperature -55’C ~ 125’C. This fan provides optimum efficiency during such rough temperature and environment. Interestingly, the provided fan has good solderability and soldering resistance, suitable for flow soldering/reflow soldering. 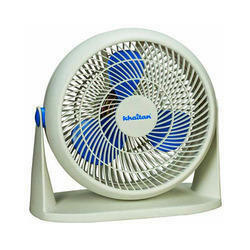 Besides, the provided fan can be availed from us at cost effective rates. 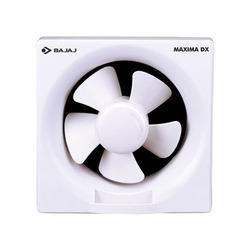 Counted amongst the leading entities of this domain, we are affianced in offering Bajaj Air Fresh Fan. 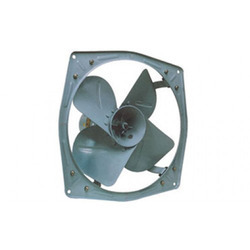 Tested on several quality aspects, the offered fan is manufactured by our dexterous vendor using quality assured metal and contemporary techniques. In addition, they also adhere to industry norms for fabricating such fan. Widely used to provide protection against lightning effects, it is well-cherished for its supreme finish and robust construction. We offer this fan at reasonable prices to our esteemed clients. Fostered with vast industry experience and knowledge of this domain, we are engaged in presenting Crompton Exhaust Fan. At our vendor’s end, this fan is developed using quality material and higher technologies. Professionals opt for strict quality tests throughout the production of the fan to guarantee optimum performance. The provided fan is made accessible in different capacities. Provided fan is built for heavy operations. Besides, clients can get the fan from us at industry leading rates. 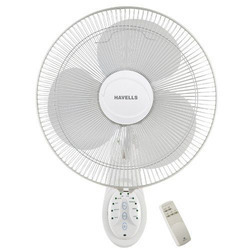 Since our beginning, we are engaged in presenting a wide range of excellent quality Havells Wall Fan. At our vendor’s end, the provided fan is manufactured using premium quality material and latest techniques. Additionally, our provided fan is processed adhering to industry standards and quality norms. The offered fan is examined on set quality parameter in order to deliver better range to the clients. Also, this fan is made available in various sizes and shapes. Moreover, clients can opt for different dimensions according to the specific business needs.